So week 5 started off pretty slow and I was in exercise hour deficit pretty much all week (at least according to plan). No big deal, instead of exercising, I visited a friend Monday night and took some business people out Tuesday night. I figured I need to live to, so I didn't stress about it. My plan also had a crazy jump up in run hours this week. Less than 3 hours to 4.7 hours is too big of jump for running. Most runners will tell you to add 10% volume per week when you are increasing distance. I also had my 5th tri yesterday. 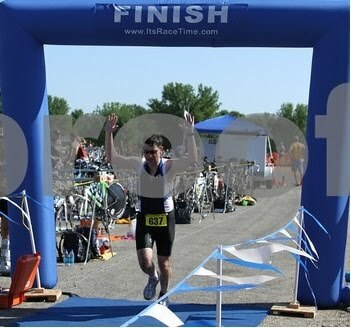 It was a Sprint with an Olympic distance bike leg (actually slightly longer, 26.1 miles). Race report is here I had no idea it was a USAT regional event. There were people in USA tri suits with their names on the back. There were also lots of college athletes in their college tri suit. I passed a couple people in their college tri suits (not to be mean, but if I passed you, you won't be going to the Olympics). There were guys in "mankinis" as my friend Ryan put it. He said that if he looked that good in a speedo, he would wear a mankini, tan, and cover himself in kelp oil :-). 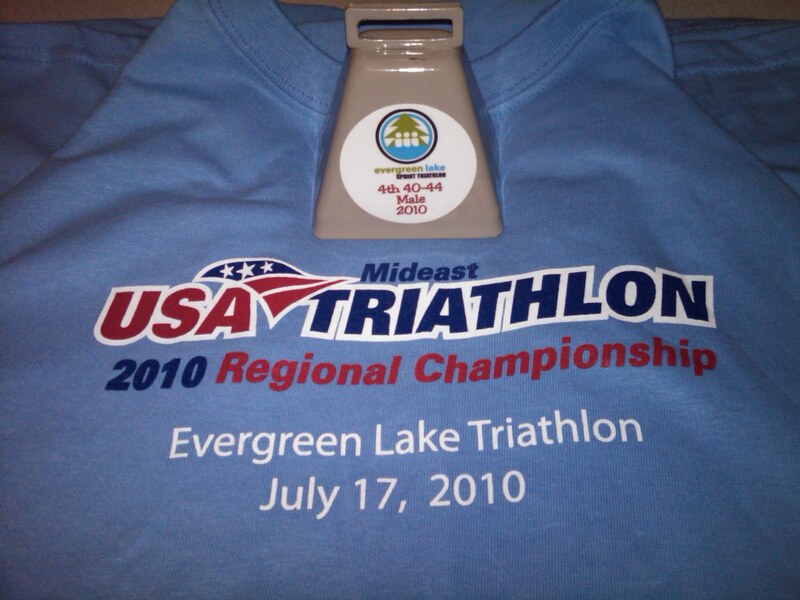 It was my first tri with USAT officials on motorcycles looking for drafters. They drive those motorcycles through the cyclists like the guys you see on Tdf (well, not quite as close). I took 4th (out of 10) in my age group and qualified for AG Nationals! I'm pretty slow, so I probably won't go (as a field filler), but it's still cool. 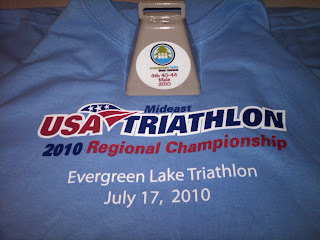 I got a free T-shirt and a mini cow bell for coming in 4th. Maybe I'll go next year since I'll be faster (if I stick with it). So week 5 totals are, 4.6 hours cycling, 2.2 hours running, 1.2 swimming. Half of those cycling hours came today after racing yesterday.